Sometimes, a garden has served its purpose. I will admit, it's not always easy to look at a familiar old garden and say, time to go. That's exactly what happened with the Wimberg Landscaping Focal Garden in Ault Park. Jennifer Smith, then a gardener for the park and now our Horticulturalist, said, It's time for a new design. And it was. The shrubs had become too large for their space, the roses where starting to struggle and the perennials where more maintenance then they were worth. So, with a new plan drafted by Jennifer, we removed the existing plant material, turned the soil, installed new plants and topped with fresh mulch. We could have integrated some of the original elements into the new design, but it would have been to the final design's detriment. 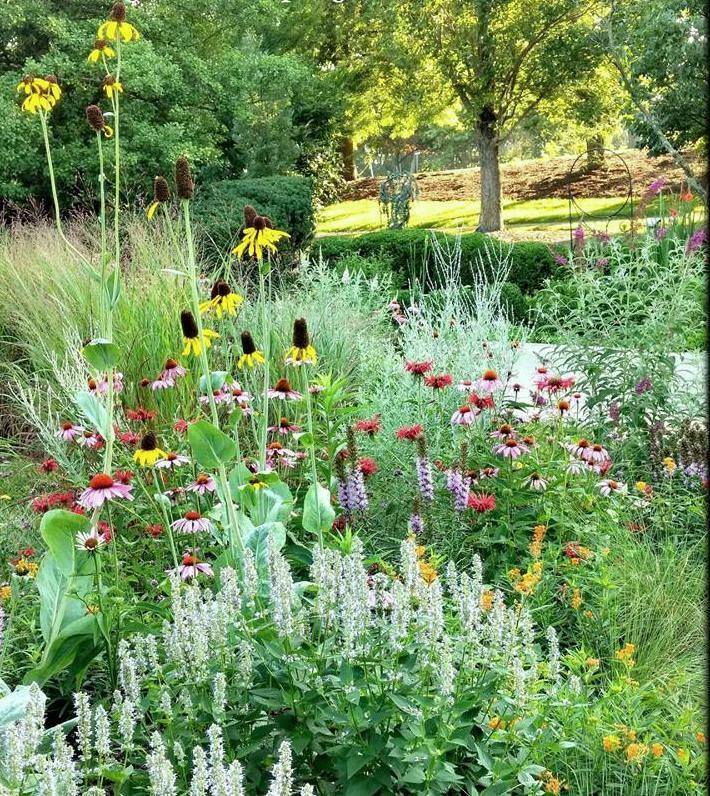 The design you see now is prairie inspired, designed to maximize butterfly and hummingbird traffic and very loose and free flowing. Any original material left in the new design would have looked forced and wildly out of place. 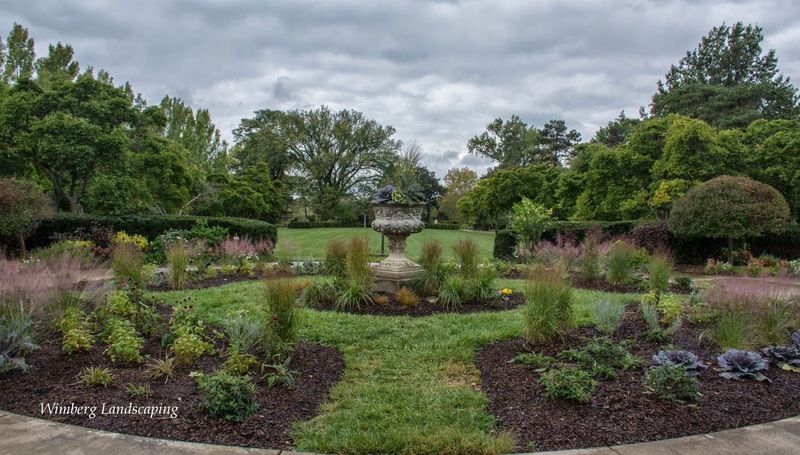 The Design The focal garden is comprised of four rectangular beds in a slight arching shape and a circular bed in the center punctuated with an urn. To achieve the look of one continuous garden, not four separate gardens, we manipulated the rules of three. For example, Panicum, Shenandoah, the group of three is split between the two beds; with one plant in a bed and two in the adjoining bed- visually drawing the two beds together. We did the same with the butterfly bushes, breaking up the planting leaving one shrub in one bed and the rest of the group in the adjoining bed. Muhuly Grass was planted not at the top of the bed as tradition would dictate, but more in the center and bending down to the foreground of the beds. The focal garden is the one garden that visitors can walk into and see from all different angles. The adopt-a plot-beds, which one passes by on a paved walk are viewed from the front, as if looking at art hanging in a museum.